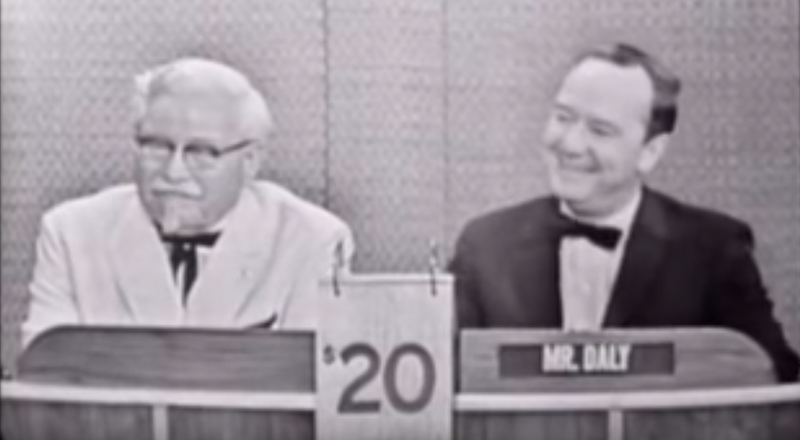 Last Call: Watch an unknown Colonel Sanders on What's My Line? Colonel Sanders on What’s My Line? Ask The Salty Waitress: How can I get rid of lingering customers who hang out for hours? The Handmaid’s Tale has branded wine now, and no. No. No. No. No. Just no. No.